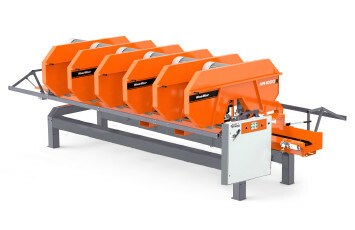 Efficiently resaw cants and boards, recover valuable lumber from slabs, produce lap siding and more with Wood-Mizer horizontal band resaws. 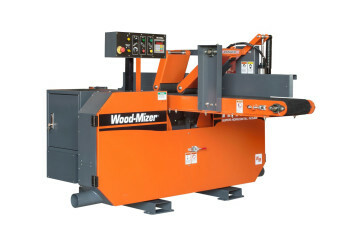 Thin-kerf bandsaw blade accuracy, increased yield, ease-of-operation, reliability, and versatility make Wood-Mizer’s broad range of single and multi-cut band resaws a profitable investment for start-up businesses and high production operations. 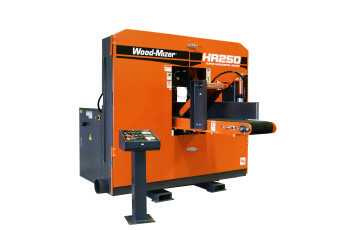 Resaw results with Wood-Mizer horizontal resaw bandsaws. 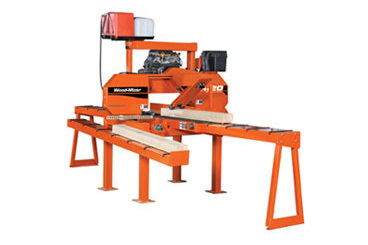 Basic, horizontal band resaw with gas/diesel/electric power, powered blade height adjustment, 8° tilting bed, 0 - 60 ft/min variable feed, and large 16" x 12" cant capacity. Horizontal band resaw with 15HP electric power, powered blade height adjustment, 8° tilting bed, 0 - 85 ft/min variable feed, a large 16" x 12" cant capacity, and optional setworks with 8 programmable presets. Compact and versatile horizontal band resaw with setworks, digital blade height adjustment, 0 - 90 ft/min variable feed, pneumatic hold-down rollers, and 11-1/2" x 10" cant capacity. 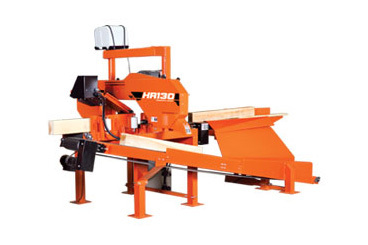 Heavy-duty single head horizontal band resaw with steel belt conveyor, 0 - 100 ft/min variable feed, angled side rollers, 8° tilting saw head, and 10" x 25" cant capacity. 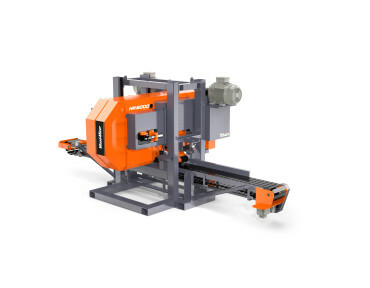 Compact, twin horizontal band resaw with setworks, digital blade height adjustment, 0 - 90 ft/min variable feed, pneumatic hold-down rollers, and 11-1/2" x 10" cant capacity. 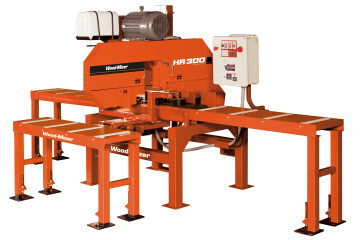 Modular, mid-size multi-head horizontal band resaw with steel belt conveyor, optional return table, optional setworks, and 11 3/4" x 15 3/4" cant capacity. Configurable from one to six heads. 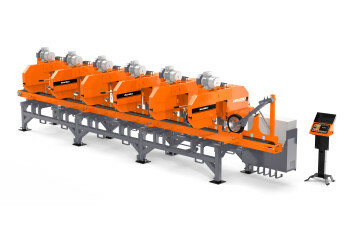 Large capacity, heavy-duty, modular multi-head horizontal band resaw with twin track steel belt conveyor, optional setworks, and 15 3/4" x 15 3/4" cant capacity. Configurable for two, four, or six heads. High-end, modular multi-head horizontal band resaw with steel belt conveyor, spiked feed rollers, optional merry-go-round, and 12" x 12" cant capacity. Configurable from one to six heads. 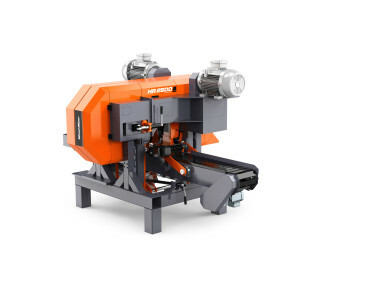 High-throughput horizontal band resaws with up to 130 ft/min variable feed speed, 2" or 3" blade width, 13" throat width capacity, and heavy-duty slatt-chain feed with pneumatically assisted powered hold down. Configurable for single or twin head. 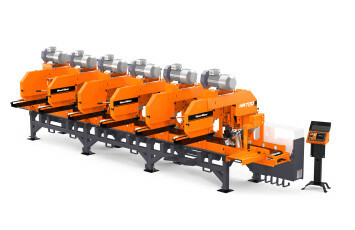 High-throughput horizontal band resaws with up to 262 ft/min variable feed speed, 4" to 6" blade width, 17" throat width capacity, heavy-duty slatt-chain feed, and electric servo sizing system for optimal board recovery. Configurable for single or twin head.